El Monte RV wishes you and your family a very Happy Thanksgiving! Wondering what to do with your Thanksgiving weekend? 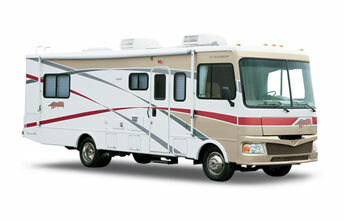 Celebrate the holiday with a motorhome rental from El Monte RV. Take a road trip to your favorite camping destination and spend quality time with the family. Rediscover all that you have to be thankful for. Visit friends or family, or provide additional sleeping accommodations for out of town visitors. 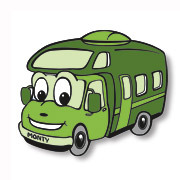 Any way you celebrate, we have a motorhome that will fit your needs! And with rates starting at $79 a night including 50 free miles a night, you won't want to miss out! 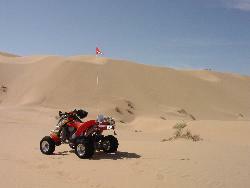 RV Vacation Idea: Glamis Sand Dunes! Thanksgiving weekend is a very popular time to enjoy Glamis Sand Dunes and taking an RV is a very popular way to enjoy the experience. Whether you prefer the convenience of our drivable Funmover motorhome, or you already own a truck and would prefer to tow our new Toy Hauler trailer, we make taking your toys easy. Book early as limited availability makes these units go fast! These are but a sampling of upcoming games. Click on College Games or Pro Games above to see a more comprehensive list, or visit http://www.espn.com/ for even more games. The Lone Star 500 race at the Texas Motor Speedway on November 6 - 7! The Phoenix Int'l Raceway race at the Phoenix Int'l Raceway on November 13 - 14! The Ford 400 race at the Homestead-Miami Speedway on November 20 - 21! And, of course... Veteran's Day is November 11th and the Thanksgiving holiday is coming up on November 25th! Dating back over 250 million years, Carlsbad Caverns is part of a cave system within the Guadalupe Mountain range of New Mexico and Texas. From the landscape above, you'd never guess the wonders that lie underneath. 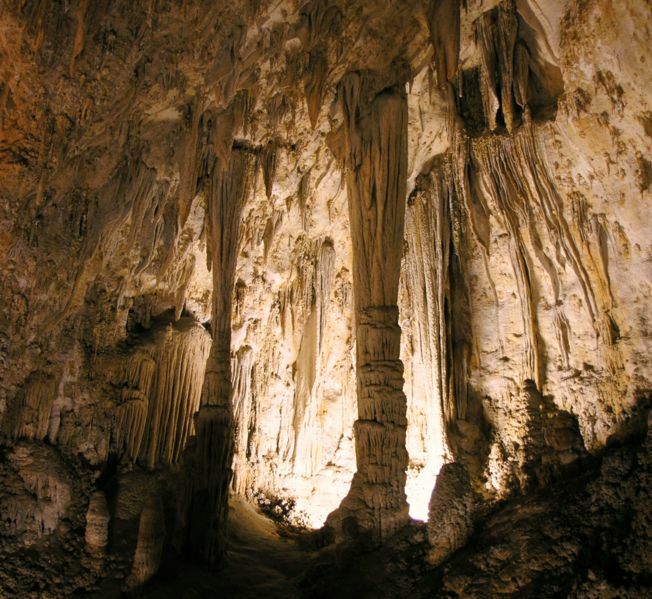 Congress saw fit to preserve this wonder of nature, and designated Carlsbad Caverns as a National Park in 1930. The main room is aptly named "The Big Room" and is 900 feet below ground. At 625 feet wide by 4,000 feet long, it's large enough to hold multiple football fields! Be sure to take the guided tour to get the guides fascinating perspectives (reservations are recommended for all guided tours). Other interestingly named rooms are the Hall of the Giants, Rock of Ages and Temple of the Sun, as well as many others. Although there is no camping in the park, there are a number of campgrounds within easy driving distances. Check out this page to get information on campsites in the Carlsbad, NM area. ~ Preheat oven to 350 degrees F (175 degrees C). Lightly grease a 9 inch springform pan. ~ In a medium bowl, mix graham crackers, cinnamon, 2 tablespoons brown sugar, and butter. ~ Press mixture into the prepared springform pan to form a crust. ~ Bake 10 minutes in the preheated oven, until lightly browned. ~ In a large bowl, blend cream cheese, sweet potatoes, 1/4 cup brown sugar, light cream, eggs, and vanilla. ~ Pour into the baked crust. ~ Bake pie 1 hour in the preheated oven, placing marshmallows on top to melt during the last 10 minutes. El Monte RV offers customers a way to offset the carbon emissions from their motorhome vacation by selecting this option when booking by the website, requesting it via the call center, or when picking up at the rental counter.